I've been an educator for more than 20 years as a middle school English teacher and now, a librarian. 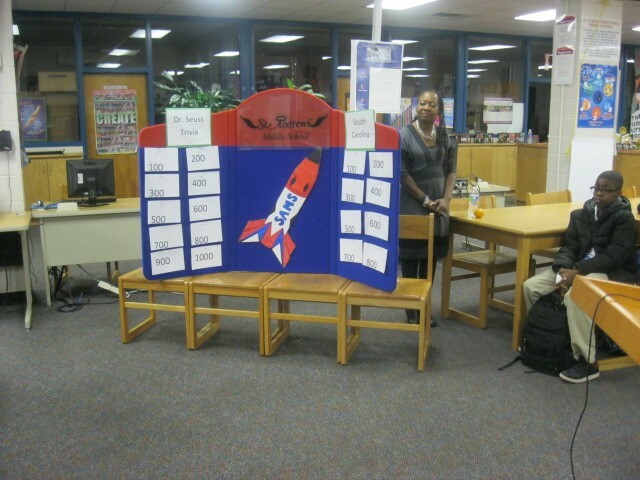 This month we held our annual Scholastic Book Fair in the media center. Unlike the past, we decided to hold an opening event just for parents. Our "Pastries for Parents" activity was a success. 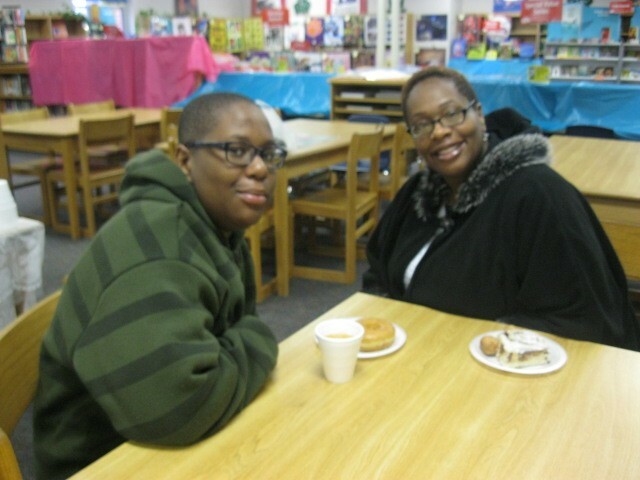 Parents who visited purchased over $200.00 worth of items and set a great precedence for our first day of sales. Thanks to everyone who purchased items, we surpassed our goal of $2,000 in sales. 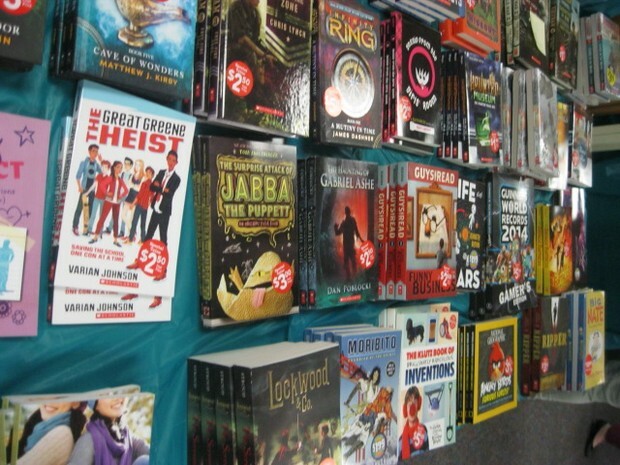 Proceeds from the sale of book fair items will be used to fund media center programs. Mr. Beckett and Kynda were our first and second sales of the day! 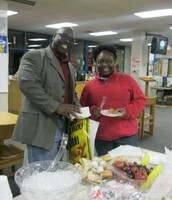 Our parents enjoyed delicious pastries, fruit, and beverages. Thanks to Ms. Coleman for lending her hand in setting up our table. Ms. Ellis and McKinley had the highest sale of the day!!! 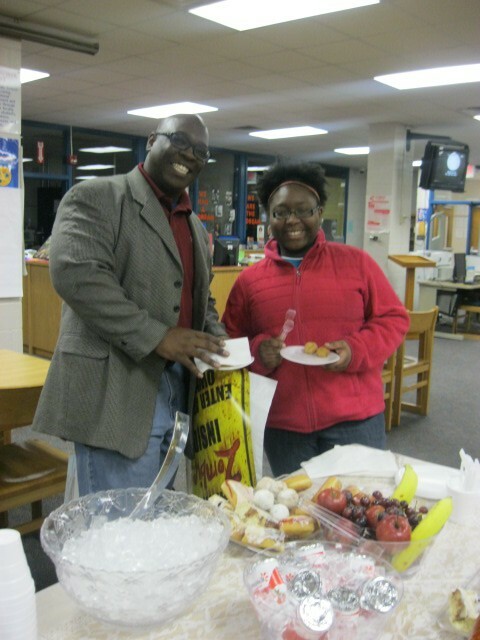 The Family ELA Night event was held on Thursday, March 12, 2015. With over 75 people in attendance, we had a successful reading celebration. Janice King and Crystal Johnson from the St. Andrews Branch of the Richland County Public Library did an awesome job of presenting events from the library. 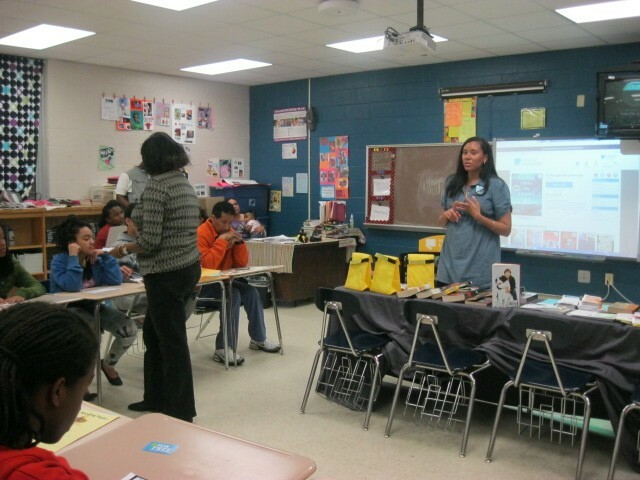 In addition they signed people up for library cards and showcased many online features from the library's webpage. Participants were able to leave with coupons that entitled them to receive up to $3.00 off their library fines. 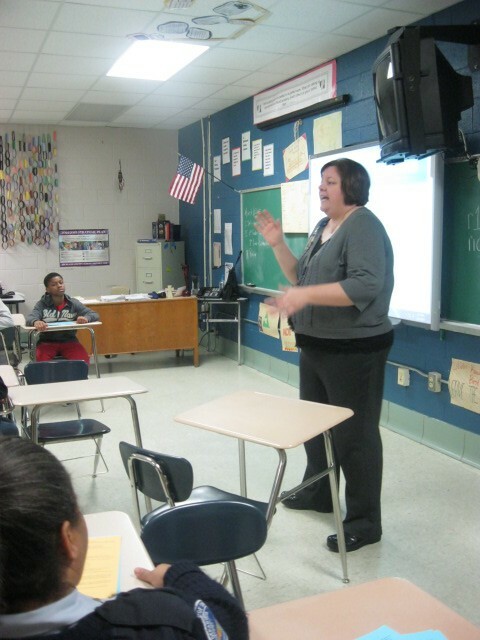 Jennifer Thornsberry, Richland One Technology Educator, facilitated a session which introduced parents to various apps and websites for middle school ELA students. They received a handout with over 20 online games and programs that could assist them with Reading and English. These weren't the only sessions that night. 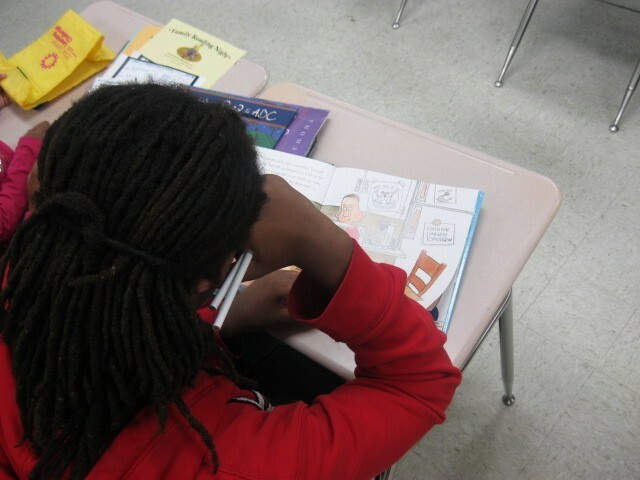 Parents were also able to visit the Accelerated Reader session to read with their child and the Scholastic Book Fair to purchase books, games, and crafts. Visit the SAMS webpage for updated calendar information. 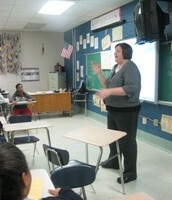 This week, Jennifer Thornsberry met with teachers to discuss the future of technology in Richland One. Next year, we are expected to have technology available for every students with the DLE intiative that encourages 1 to 1 interaction. Our final Tech Thursday session will be held on Thursday, April 16. Please let me know by Thursday, March 26, if you have a topic idea for the final session. 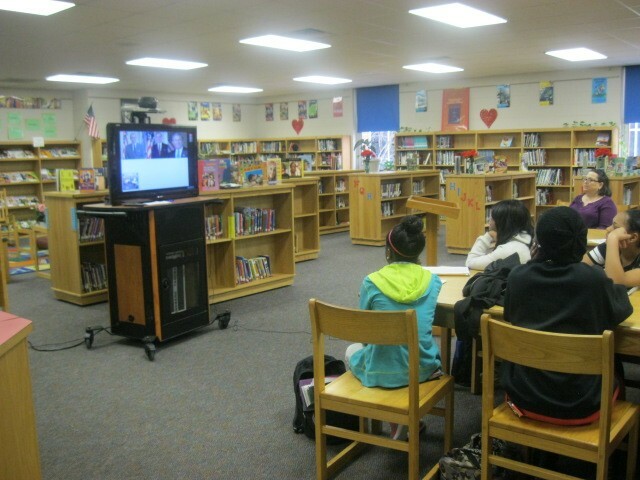 This project consisted of classrooms connecting over videoconference to celebrate reading. Each class created their own reading activity, then connected with their partner class to present their reading themed activities to each other. Students also shared information about their school and community. 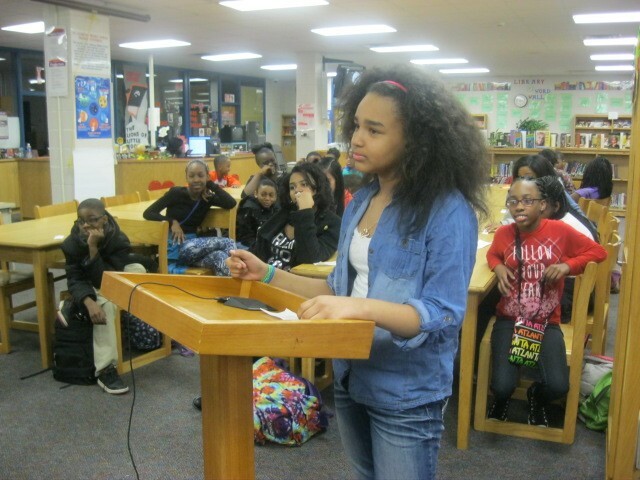 At St. Andrews, six ELA classes had an opportunity to communicate with students in various parts of the country, including New York, Texas, and Michigan. The students were enthusiastic and well-behaved as they shared information about text they were reading, as well as South Carolina facts. 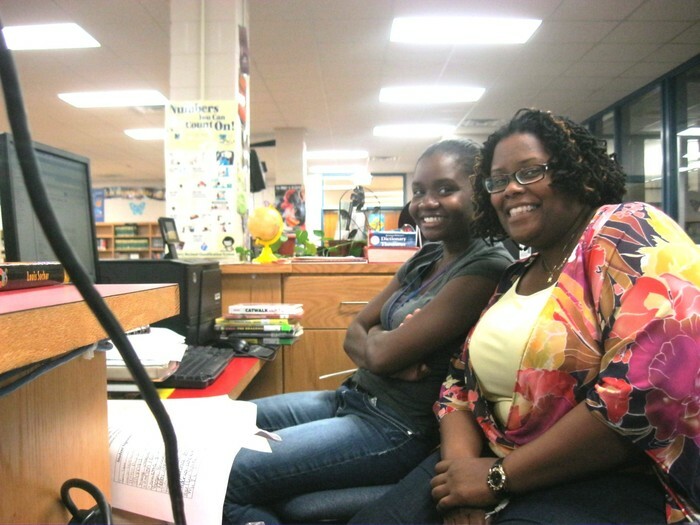 Ms. Corbitt and Ms. Wylie are available to assist you with your information needs!